Orchard Parade Hotel after months of refurbishment has blossomed and rebranded into a brand new look! 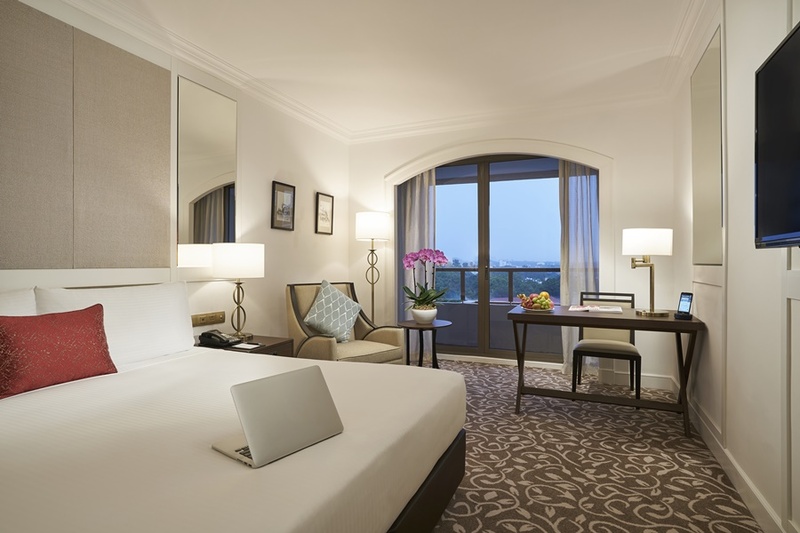 Far East Hospitality, one of Singapore’s leading operators of hotels and serviced residences, recently announced the rebrand of the iconic Orchard Parade Hotel to Orchard Rendezvous Hotel and the company has worked with the Orchid Society of South East Asia (OSSEA) to commission an orchid for Orchard Rendezvous Hotel. The commissioned orchid named Vanda Orchard Rendezvous can be found on Level 6 at the Outdoor Swimming Pool area. This lovely orchid is a two-toned cross-hybrid of Vanda Pieces of Eight and Vanda Rasri Gold. 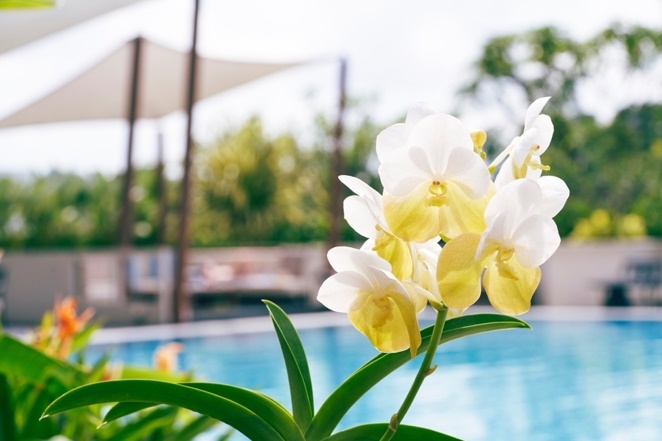 It is the first orchid commissioned for a hotel in Singapore by OSSEA. 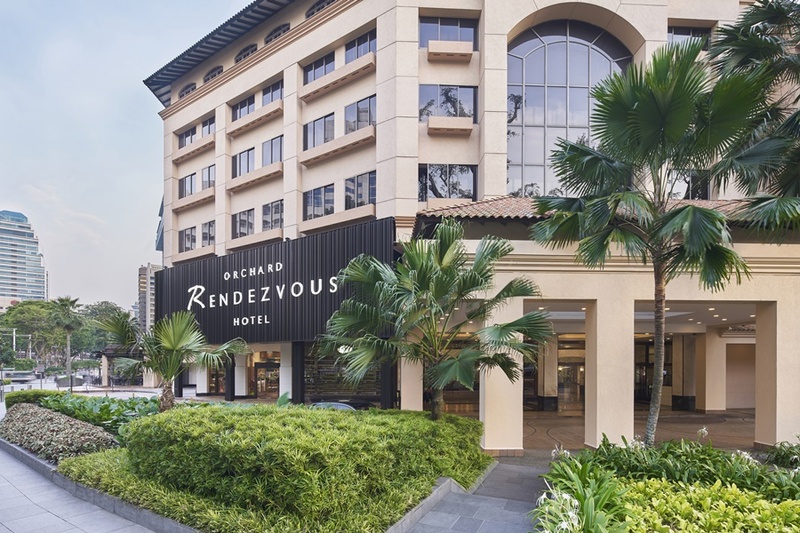 Orchard Rendezvous Hotel is the second property under the Rendezvous brand in Singapore. Drawing inspirations from neighbouring Botanical Gardens, the renovated hotel offers guests a garden-like retreat from the hustle and bustle of the city. The hotel now boasts a fresh, stylish and modern new look! Thank you to Orchard Rendezvous Hotel for the lovely and meaningful media drop! Did you know that the hotel building was originally developed on a plot of old pepper plantation?The new Orchard Rendezvous Hotel’s interiors drew inspiration from this historical significance and has been refurbished to incorporate elements of the pepper plant. These include the delicate pepper leaf chandelier and pepper plant motif in all 388 rooms of the property. Do check it out when you visit the hotel. We are certainly impressed with the layout and facilities of the new hotel during the media tour. The family room will be a good place for families to have a relaxing and memorable staycation. It is a cosy and comfortable place for family members to chill-out and enjoy bonding time together! Guests will be pleased to know that they can bring home handmade and personalised pressed orchid products like personalised cards and stationeries as Orchard Rendezvous Hotel has partnered with local art organisation, Sense of Arts to enable guests to work on creating beautiful handmade items to memorialise their stay in Singapore. How thoughtful of the hotel!